Marble - the "Confidence Builder"
Denny Jump (Bellevue, WA, United States) on 9 September 2018 in Architecture. 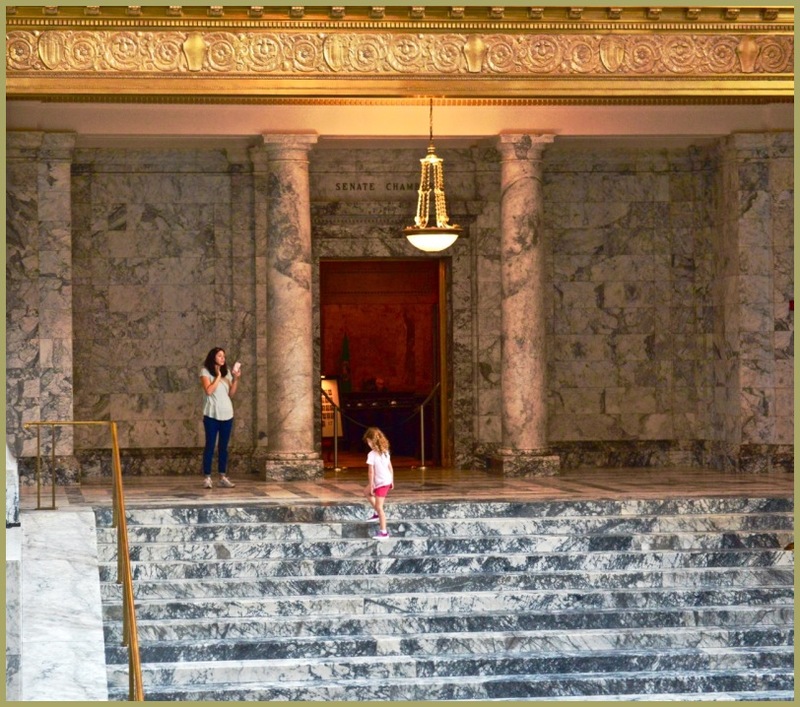 Here we are in the Washington State Capital building in Olympia, just in front of the entrance to the State Senate Chambers! Your daugher-in-law and grand daughter add a nice sense of scale to the scene and add a bit of warmth into otherwise empty halls. I like the various marble textures and patterns. @Darkelf Photography: Thank you very much, Maciek! I was really enjoying the very same thing (sense of scale) when I was playing around with this image....It also brought a smile to my face because Lyndsy and her beautiful daughters (our grand daughters) are a source of endless joy to s.. cheers to you both....And Thanks Again, sir! An excellent image of the interior, Denny. Gloriously marbled for sure, and of course having your beloved family members in the shot can't hurt. Mother and daughter bring warmth and focal point in this "stage". Very well captured.